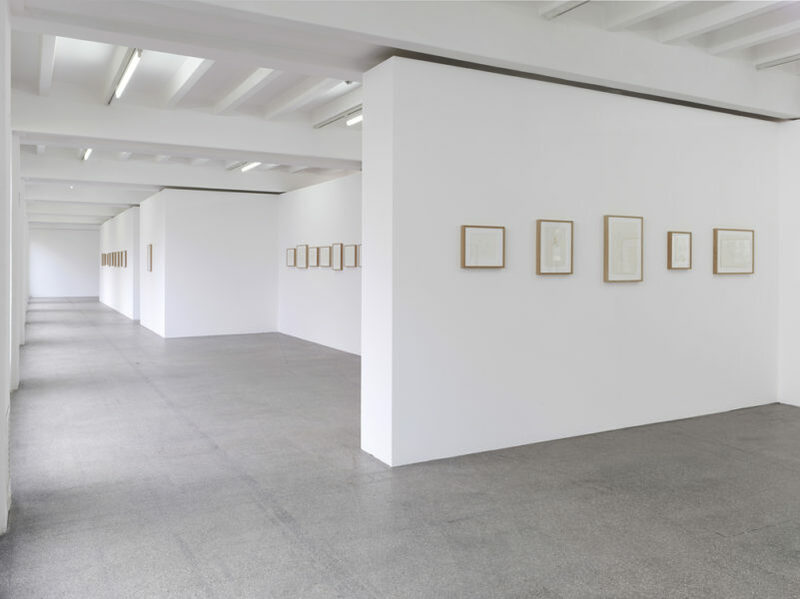 This week I am taking you abroad, to the Kölnischer Kunstverein in Cologne, where Christiana Soulou has her first German institutional solo exhibition: Sonnet to the Nile. Born in 1961, Soulou has been developing an extensive oeuvre of deeply intimate and emotional drawings since the early 1980s. The numerous works on display in Sonnet to the Nile centre around mysterious human and animal figures that appear on blank paper, bereft of context or connection to a specific time or place. The subject matter reflects the psychological states as well as the animalistic side of human beings. Soulou works with graphite, watercolours and coloured pencil, mainly using monochrome shades of grey, blue or red. 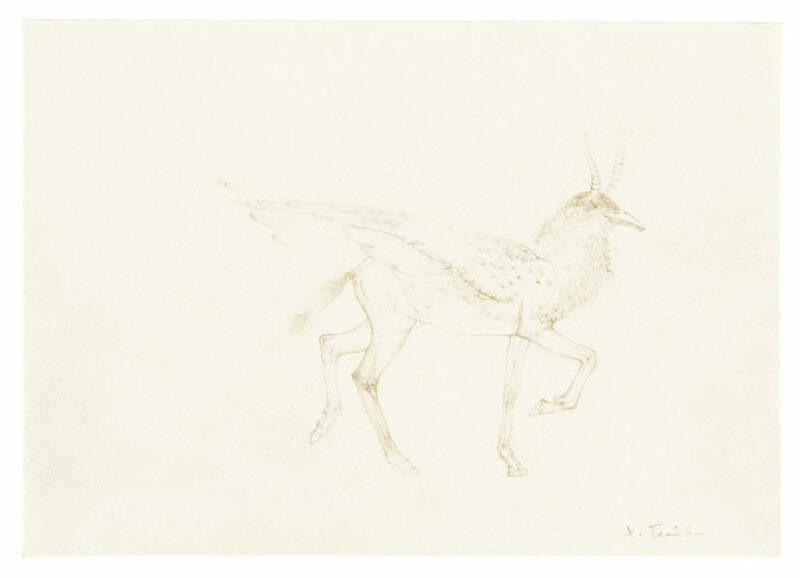 Her images are delicately composed of both firm and faint lines as well as faster gestures. This makes the figures seem elusive yet strongly present at the same time. A literary rather than a visual world is the starting point for many of Soulou’s drawings, which exist either on their own or in series. They respond variously to the works of William Shakespeare, Jean Cocteau, Heinrich Kleist or Jorge Luis Borges, great writers whom Soulou has studied intensively, some of them since her youth. 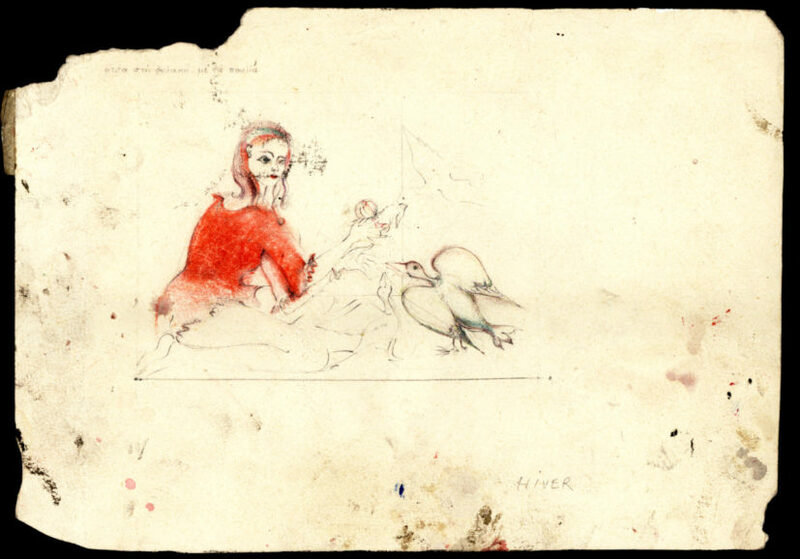 This strong connection with literature is also suggested in the titles or subtitles of her drawings. 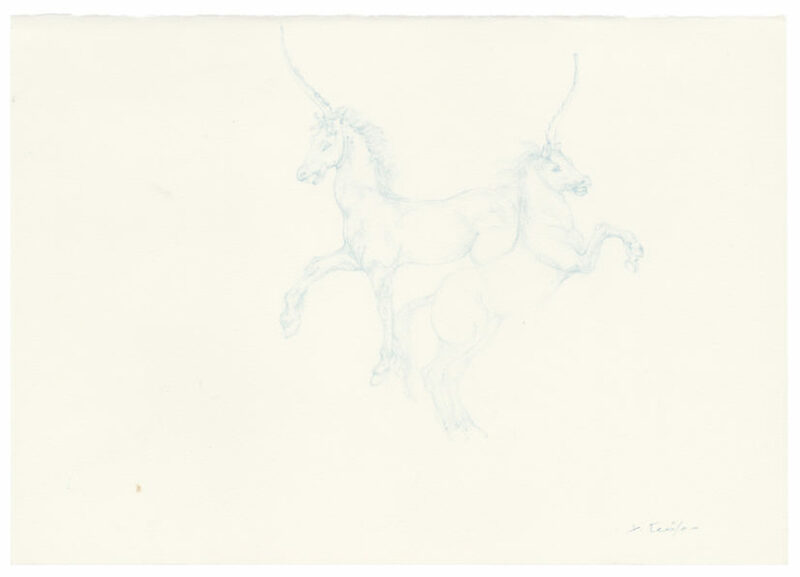 References to the Book of Imaginary Beings (1957) for example, Jorge Luis Borges’s and Margarita Guerrero’s aniconic encyclopaedia of monster creatures, can be recognised in the works Sky Blue Licorne Horses (2014) or Peritio(2013), which depict strange and otherworldly animal figures. Overall, Soulou’s meticulous drawings manage to captivate the viewer with their intensity and precision of line. Within a contemporary art context, they are a rarity. Although her drawing studies are often redolent of anatomical drawings, she creatively liberates her work from the directly figurative. Her insistent depictions exist in the realm of legend, myth and magic, providing space for new associations and narratives. The psychological immediacy of her bizarre creatures is haunting and the mental sharpness and acuity of her visual explorations of the mysteries of life and humanity unforgettable. Christiana Soulou was born in Athens, issuing from a Greek family in Alexandria, where she spent much of her childhood. Her solo exhibitions include a major survey at the BALTIC Centre for Contemporary Art in Newcastle (2016), and shows in London, Paris, Berlin, New York, and Athens. She has also participated in group exhibitions including those at Camden Arts Centre in London (2016) and the New Museum in New York (2010) as well as the Biennale di Venezia (2013) and the Berlin Biennale (2006).